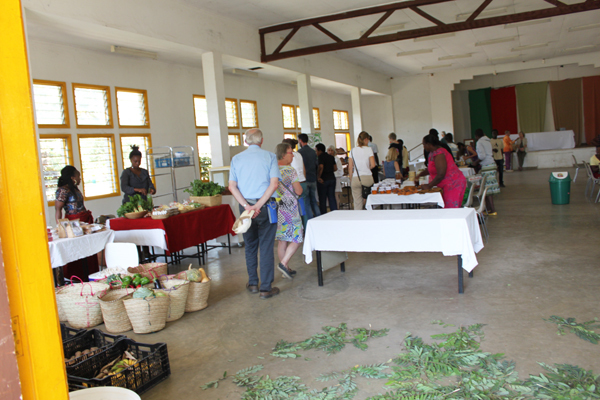 Usa River Rehabilitation Centre's Monthly Farmers Market. 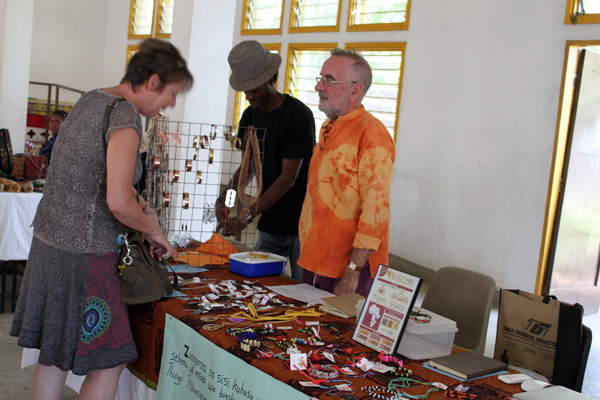 - Website of jewelleryartbyhardwick! 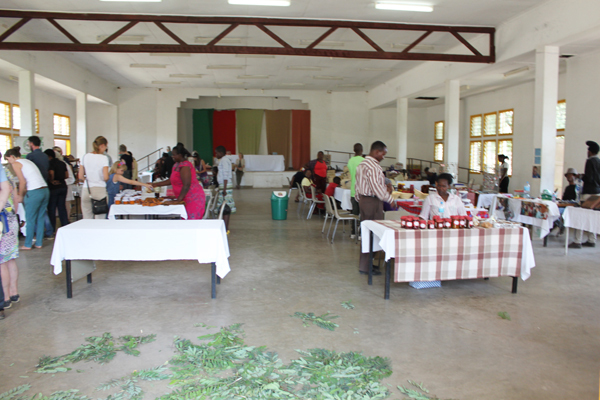 Usa River Rehabilitation Centre's Monthly Farmers Market. 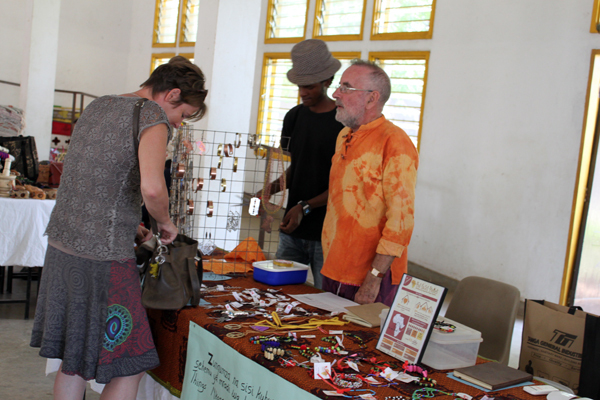 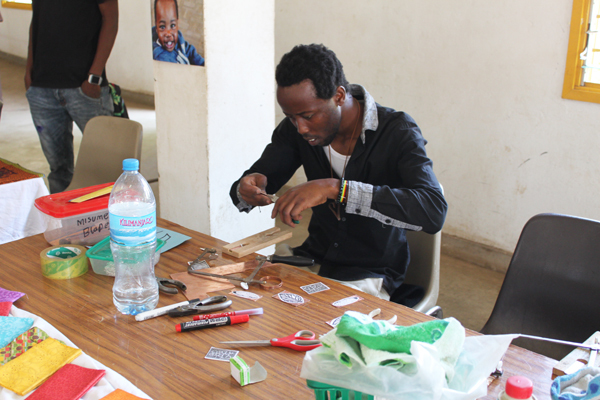 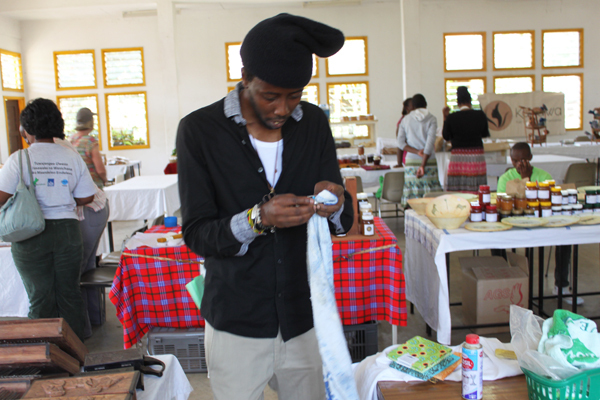 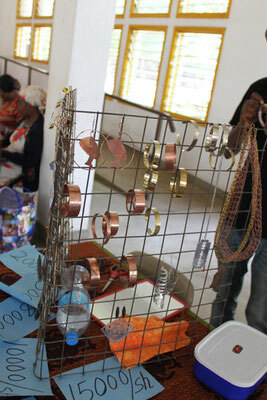 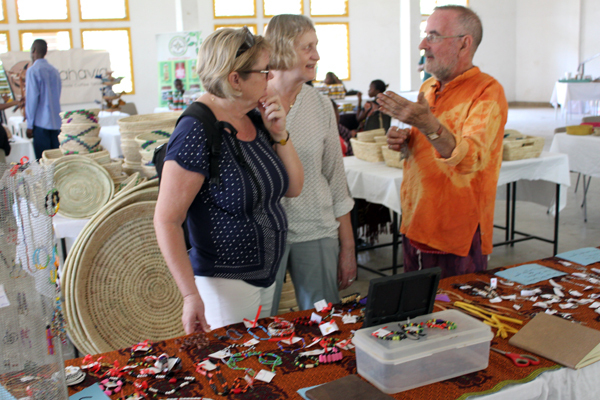 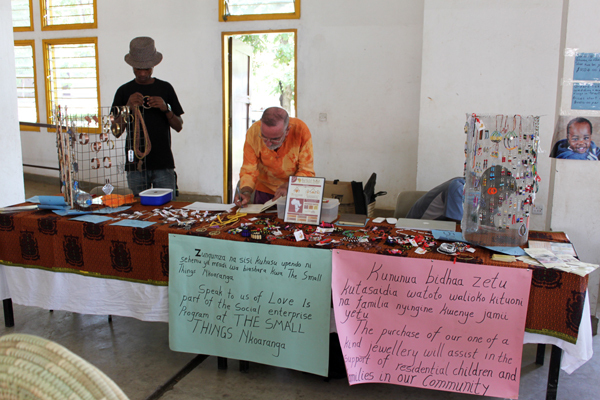 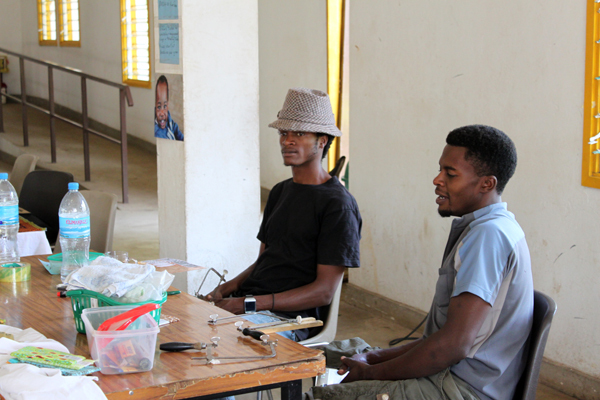 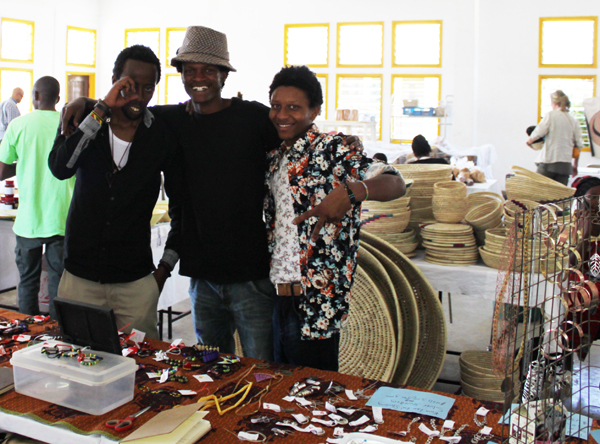 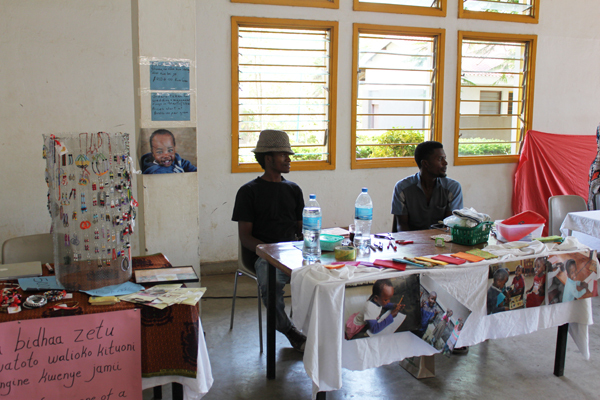 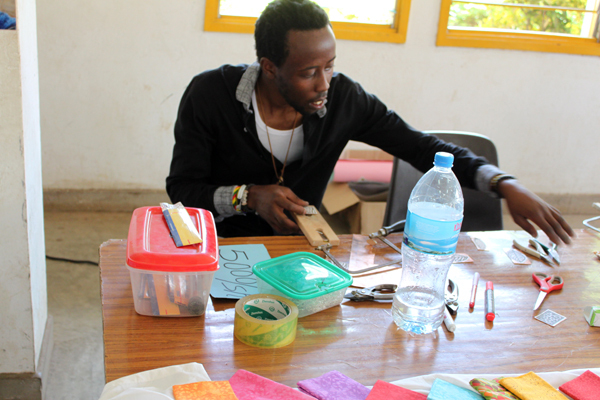 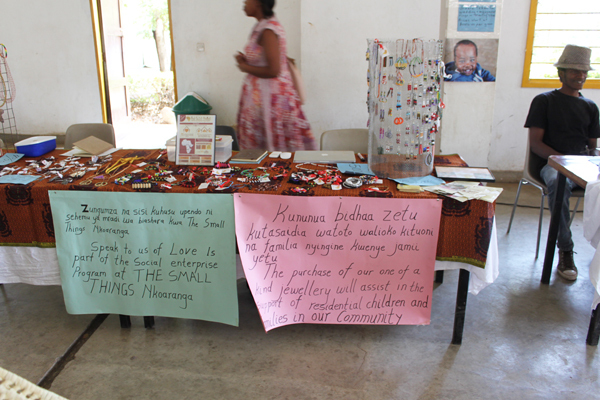 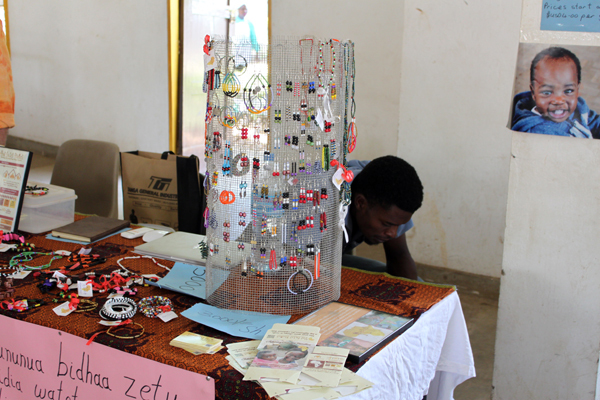 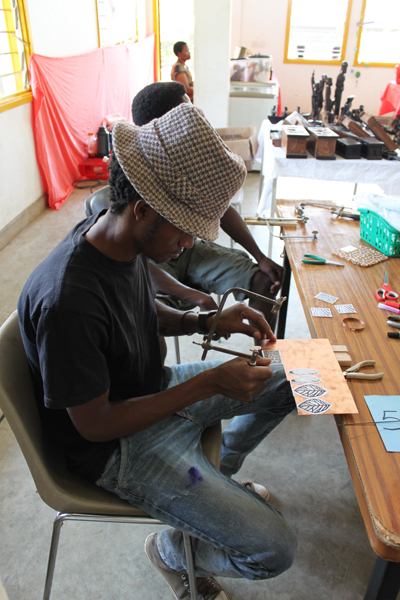 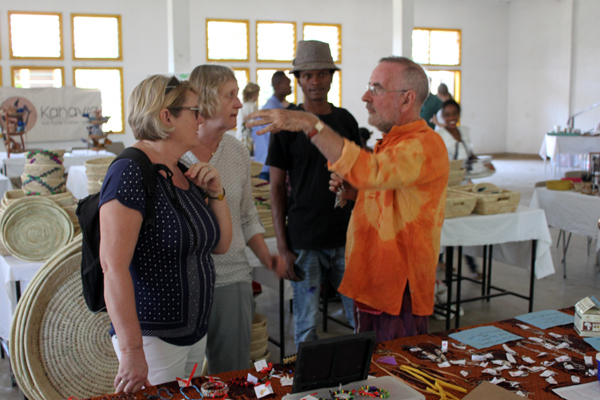 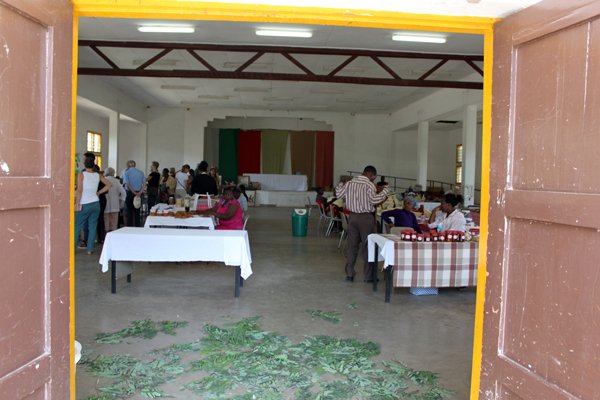 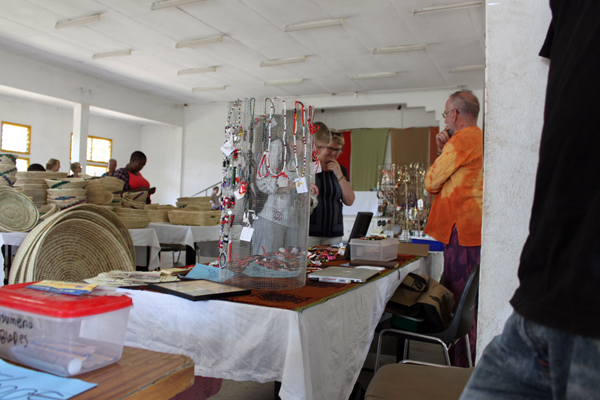 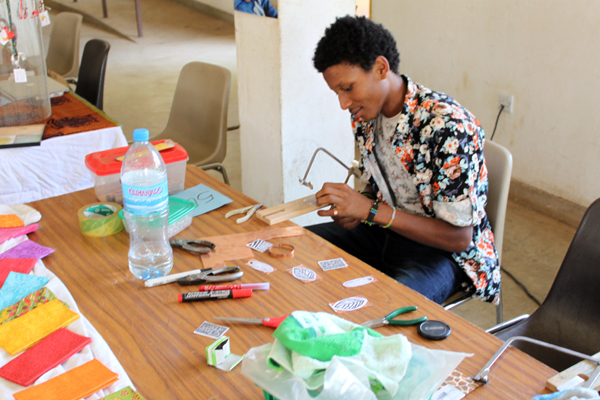 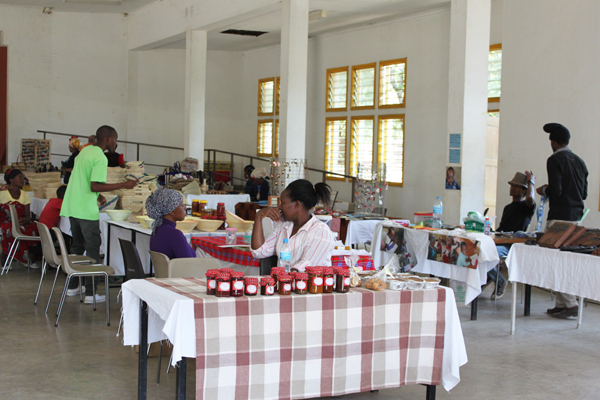 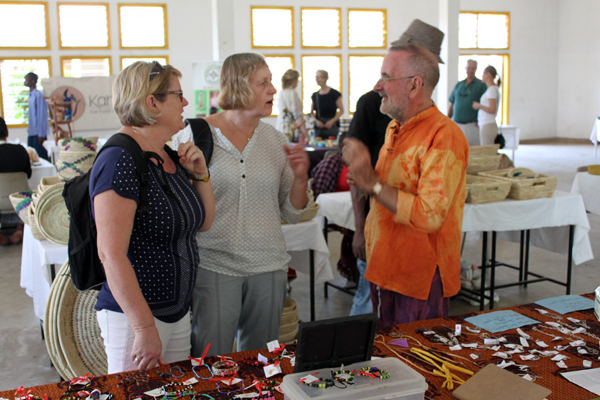 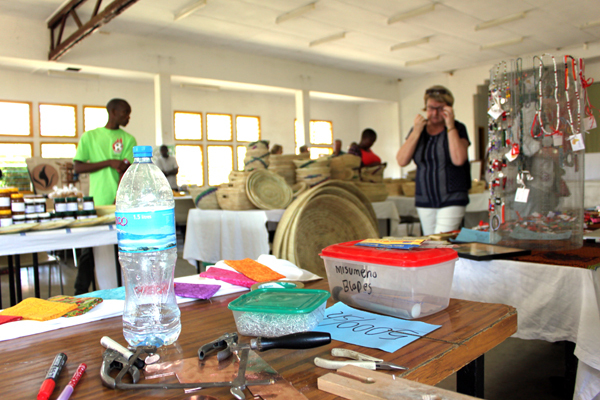 URRC (Usa River Rehabilitation Centre) monthly Farmers Market and the first outing for 'Speak to Us of Love' jewellery. 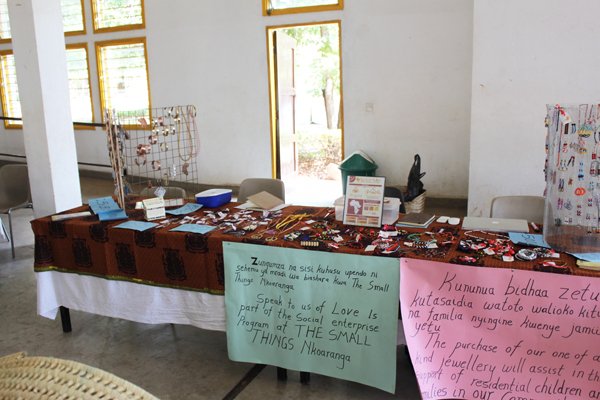 Wonderful day, with 19 items sold, invitation to place our work in a gift shop, developing a greater awareness in the greater community of 'The Small Things' and a great networking opportunity. 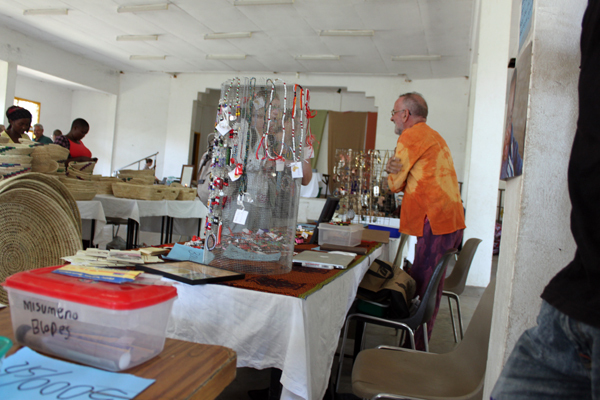 The greatest thrill was most of the work sold was new work from the studio and on display was the first soldered item. 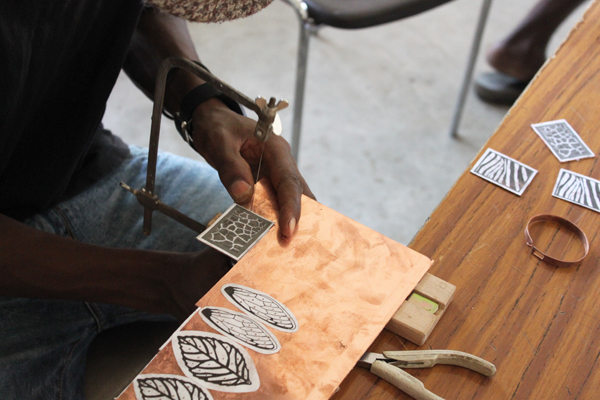 Not being able to procure a paintbrush for the flux, I fashioned one from a thick twig, some chicken feathers and a bit of copper wire. 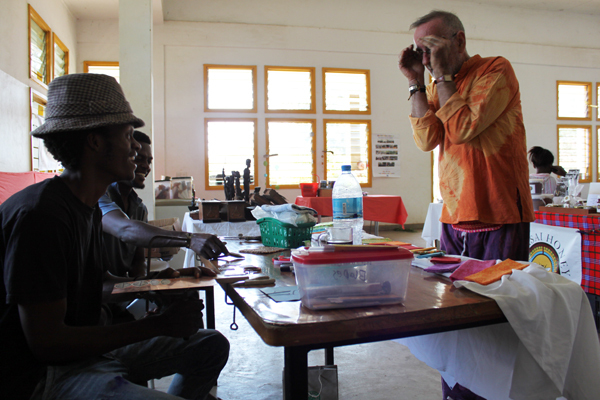 Images in the next blog. 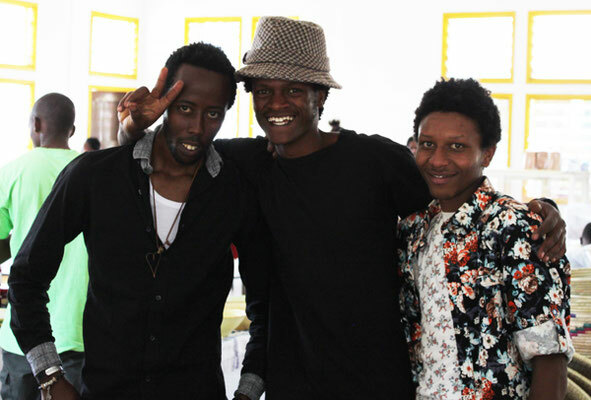 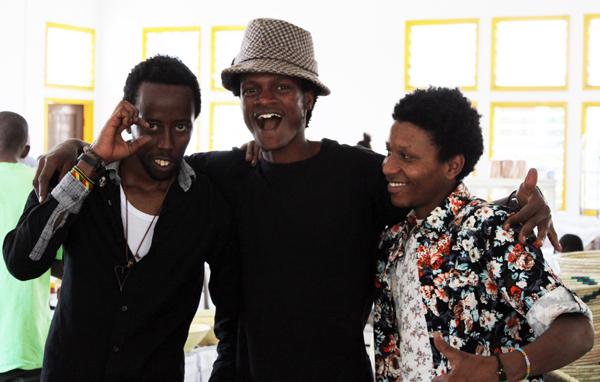 Spending time with these talented, amazing guys, Reuben, Godfrey, Ima and KaIma, is such a joy, thank you all.